The auditorium was full when Centre of Molecular Inflammation Research, CEMIR, held its annual scientific seminar on inflammation September 4th. Speakers included renowned professors from Seattle Biomed, Karolinska Institute and the Universities of Maryland and Massachusetts. 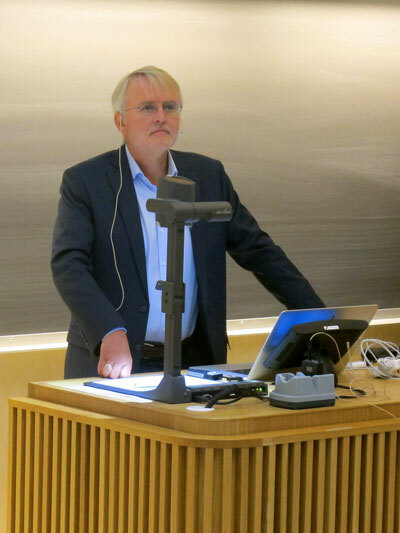 In addition to the international guests CEMIR Professor Geir Bjørkøy held a presentation. To know basic mechanisms behind inflammation responses is essential in order to develop new treatments for diseases where inflammation is a part of the pathology. 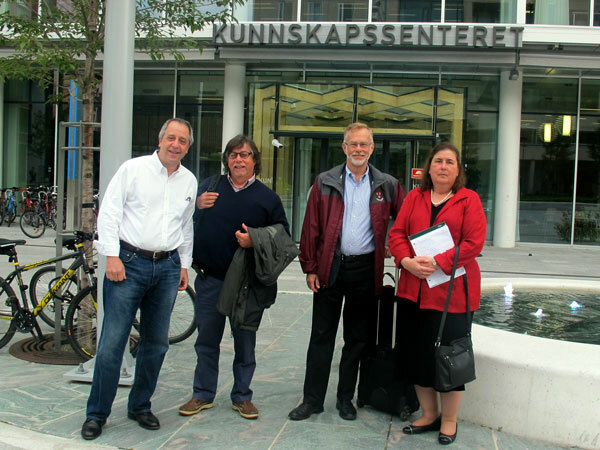 CEMIR is proud to gather world-leading scientists within this important research field to a seminar at NTNU so they can share their knowledge, inspire and guide scientists interested in inflammation research. With such a substantial program and excellent speakers the seminar was a great success. The seminar was open to all and researchers, students and clinicians from several departments at NTNU and St Olavs Hospital as well as other Norwegian universities filled the auditorium in Kunnskapssenteret. The international speakers are all members of CEMIR’s Scientific Advisory Board (SAB). Their function is to review the scientific progress of the centre and to give guidance to future research directions. SAB had several meetings with the CEMIR management and researchers during their visit, and gave constructive and useful feedback to the CEMIR management. How does the body discover invading streptococci?